We are always looking to improve our governance in order to be a sustainable high performing governing body of sport. Ensuring we are well run and fit for purpose as a modern Governing Body is vital to ensuring continued public funding and to generate additional private revenue. Welsh Rowing is committed to both equality and inclusion throughout all its practices. 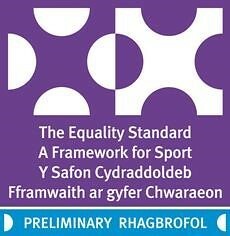 Welsh Rowing has acheived the Preliminary level of Equality Standard and Level 2 of the Safeguarding Standards. The role description for our Board Directors can be found here. The role of the Board is described here. Welsh Rowing, Sport Wales National Centre, Sophia Gardens, Cardiff, CF11 9SW. All enquiries, including media please contact the office on 02920 334914. Welsh Rowing is the National Governing Body for rowing (on rivers, the sea and indoors) in Wales. Welsh Rowing works with Sport Wales to raise the awareness of, and participation, in rowing within Wales, as well as aiming to develop athletes for GB squads. We run a GB Start centre out of our base in Cardiff. Welsh Rowing is self-governing for rowing in Wales, but values a close working relationship with the Welsh Sea Rowing Association, Scottish Rowing and British Rowing. Our sub-committee structure is illustrated here.